A friend has just asked me to recommend some wine glasses. I realise I get asked this rather often so I thought I would dash off a quick post to help any people who are looking for glasses to buy. I shall start of with dream glasses and then move on to the stemware I usually use, then give you the bargain option. Do not worry if you can only afford the bargain glasses, they are perfectly acceptable for tasting as they have long enough stems to hold them comfortably – you never hold a tasting glass by the bowl as this covers it with finger prints and you cannot then see the wine clearly – and they all have the essential thin rim you need for tasting. One thing you should always remember is that you never to a tasting glass to the brim. You need plenty of space to swirl and let the aromas fulminate from the wine. With exception of Champagne flutes, which you can fill about half way up, you should usually aim to fill a glass to just below the widest part at the bottom of the glass – the wide part of the dumpy tulip. The dream glasses to get are the hand-blown crystal Riedel Sommeliers. They really do provide the ultimate tasting experience, but they cost the earth, are definitely not dishwasher safe and usually break when you are trying to polish them with a glass cloth. Indeed, I have smashed countless Sommeliers just by clicking the rim to make them go ping! The only glass you really need if you have stacks of sponds and want the very best general purpose glass are the Riedel Sommelier Riesling Grand Cru/Chianti glasses. They will do for anything and provide a superb tasting experience. If you want to get a general purpose red wine glass then go for the Sommelier Hermitage glasses. Simply fine for any red wine, unless you are as bonkers as me (see next glass). I do have to admit I am bonkers as I own a couple of Sommeliers Burgundy Grand Cru glasses that I pull out when I am tasting something super fine. I cannot deny they look a bit silly. They are bloody enormous too! The Champagne flutes, on the other hand, are divine. Now the glasses I usually use are also Riedels, but this time the machine-blown crystal Vinum series. They are easier to clean by hand and will even stand up to a dish washer as long as you make sure they are not touching anything else that may clink against them during the washing process. They are a joy to taste from. Again, the only glass you really need is the Riesling glass (also known as the Chianti glass). These will suit absolutely any wine you wish to taste in an analytical manner. Just remember not to over fill them. If you want a red wine glass go for the Syrah glass – fine for all red wine. One again I must admit to owning some Pinot Noir glasses and, yes, they do look silly too. The Champagne glasses are a good investment as well. Finally, if all this is too rich for your blood get the Luminarc Hermitage series. There is absolutely no shame in owning and using these glasses: they provide a very close experience to the vastly expensive ones I list above. Indeed, just yesterday I recommended them to one of my best friends who considers Riedels just a bit too fragile for his general tasting needs. Good for tasting, dishwasher safe and reasonably robust in general. These ‘small’ ones will do for any wine (again do not over fill as if you gave someone a full glass not only would not they be able to taste properly, but also you would be giving them over a third if a bottle of wine to drink!). You can get some larger red wine glasses if you wish. The Champagne flutes are just fine for any fizz. Lovely to drink from these, do not think you are losing so much buy buying these – you can serve almost any company fizz in these with no thought of inadequacy. And that, as they say, is that. I hope you have found this useful. It is really worth getting decent glasses for drinking and tasting, they add so much to the experience of enjoying a wine. David, I swear by the Stolzle Exquisit range of glasses. In my opinion, they are equally aesthetically pleasing when compared to Riedels, as enjoyable to drink from, and (most importantly) absolutely cheap as chips, so the odd breakage is less painful to the wallet. You can get them here……..
To clarify, I have absolutely no connection with this company, so have nothing to gain by sharing the secret. I’m just a happy drinker! I own Riedel somms…no contest. David there is a glass called Nachtmann XXL made by a company owned by Riedel. The glasses are nearly identical to the Burgundy sommelier glass and only slightly smaller (I did not realize until I placed them side by side. Same shape and similar width. The Nachtmanns are under 10 dollars in the US, however. Amazing for the price. I think you maybe the only wine person I know who still uses Champagne flutes (and that includes Hubert de Billy and Clovis Tattinger). A sensible tulip glass is the best option! I went to a riedel tasting last year (absolutely hilarious, I made my own entertainment) and came away utterly convinced that the whole shebang is snake oil. In truth one sensible shaped glass, the Chardonnay or Chianti, will do in absolutely every circumstance. Rather than spend £80 on a glass you’d do better to buy wine. That’s an awful lot of absolutely, but hey. The blind tasting match was won using the 12oz ISO. On the subject of which it is with great joy I acclaim this year’s team from the senior university putting the filthy tabs in their place. I admit my preferred glass for tasting and drinking any wine, fizz included, is the Riedel Vinum Riesling/Chianti glass, but Mr T makes a very good point: a 12oz ISO is a cracking tasting and drinking glasses, that have been used for an incalculable number of stunning displays of blind tasting (Mr T. being responsible for many of them in days gone by) and only cost a tiny coin under £15 for six on Amazon, which is a hint more than half the price of two Vinum Riesling glasses. 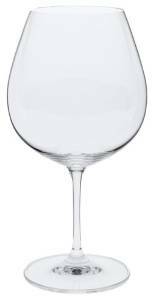 So I am going to put my money where my (and Mr T’s) mouth is and buy 6 medium-sized/31cl ISO tasting glasses for general purpose use, especially for when I cannot be arsed to undertake the forever-risky operation that is cleaning a Riedel. The smaller 7.6oz/21cl ISO glasses are perfectly serviceable, but less fun to drink from than the 31cl ISO tasting glasses. You can drop £42 on 6 14oz ISO tasting glasses if you like, but I am far from tempted given 6 31cl/10.6oz are fifteen quid – top bargain for a reasonably sized, highly functional and good looking glass! Thank you, Ed: we won by a very comfortable margin, so as coach I am proud of the team. Well done Oxford and especially well done Hanneke who is responsible for Oxford’s, and all sorts of people’s, manifest brilliance. In fact, quadruple-y well done to Hanneke because she has to do something I am understandably blissful I no longer have to do: buy (and taste) something akin to Villa Maria Sauvignon Blanc, every ten days or so, to try and make sure developing experts can recognise its dreary class of unlovely wine. You do a difficult job, Hanneke, and, as you did twenty years ago, you are brilliantly good at it: not only teaching the general subject and required skills; not only at nurturing, encouraging and developing any hint of native talent/rabid enthusiasm if anyone might possibly possess the magic IT;). But most importantly you have an impeccable aesthetic ideal, so your charges learn to correctly tell good from bad and come to fundamentally understand what is worth their time, money and discussion time! A lot of people owe you a huge debt of gratitude, Hanneke – I certainly count myself in a very privileged location in that large group! How very kind! It is not only victory but also comments like yours that make all the hard work (which includes tasting – and spitting out – Pinotage) worthwhile. Thank you. I thank my stars that I will never have to endure the burnt rubber hell of pinotage ever again. I feel increasingly the same way about Sauvignon Blanc, which I am horrified to say is the nation’s favourite.